To get this deal, complete the form below or call us before December 31, 2016 requesting a quote on a job you would like to have done, and your job will qualify to save $100 for every $1,000 you spend. This offer is only available until December 31, 2016. $100 off for every $1,000 you spend, on full retail price, before taxes. Work must be completed before March 31, 2017. 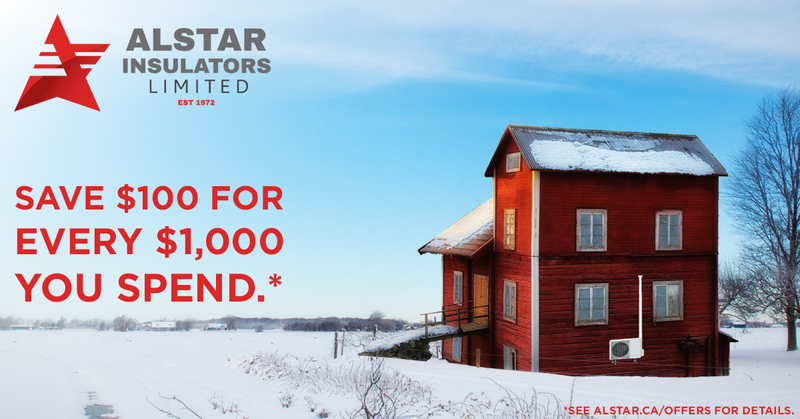 This rate can be applied for any work completed by Alstar Insulators during this time.